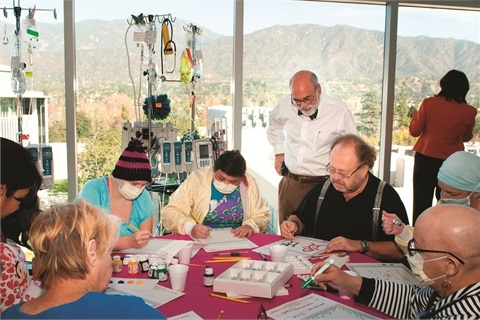 City of Hope’s National Professional Salon Industry has named George Schaeffer, president and CEO of OPI Products and Aloxxi International, the recipient of the 2012 Spirit of Life Award. As the 2012 recipient of City of Hope’s highest honor, Schaeffer embodies the vision and commitment that defines the Spirit of Life. 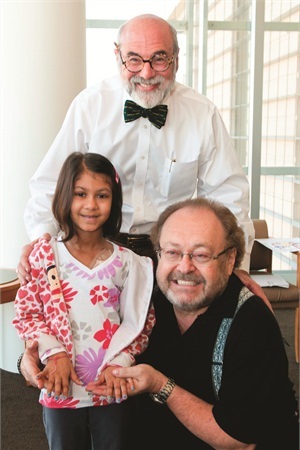 Schaeffer has always lived by the belief that “giving back is beautiful.” Now, with the City of Hope, which is dedicated to scientific research and the well-being of patients and their families, he has formed the George W. Schaeffer Endowment for Innovation in Diabetes Research to help find new treatments and, possibly one day, a cure for diabetes. Schaeffer’s personal goal is to raise and donate over $5 million to help City of Hope continue to advance their mission. He will personally match up to $2.5 million raised for the George W. Schaeffer Endowment for Innovation in Diabetes Research. “If there is one thing I’ve learned in my life, it is that every time I give, I get a feeling of satisfaction that I have made a difference,” he says. In addition to his commitment to match up to $2.5 million raised, Schaeffer is covering the cost of the dinner in his honor, enabling 100% of every dollar donated to go directly to the City of Hope. The evening will feature the culinary expertise of a world-renowned chef, entertainment by Grammy winners and music icons Donna Summer and Al Green, as well as many more surprises. He will receive the award at the annual Spirit of Life Award Dinner, which will be held in conjunction with the Professional Beauty Association’s Beauty Week and the 2012 Cosmoprof North America show activities at the Mandalay Bay Resort in Las Vegas in July. “The Professional Beauty Industry helps change people’s lives for the better. Looking and feeling good go hand in hand. Together, we can help people look good and feel great by supporting this important cause,” says Schaeffer. For more information about the City of Hope – George W. Schaeffer Endowment for Innovation in Diabetes Research, visit www.cityofhope.org/giving.